Summary of Buckden Pike walk: Very Steep incline at the start, definitely a calorie burner. The continued walk upwards seemed to go on forever. 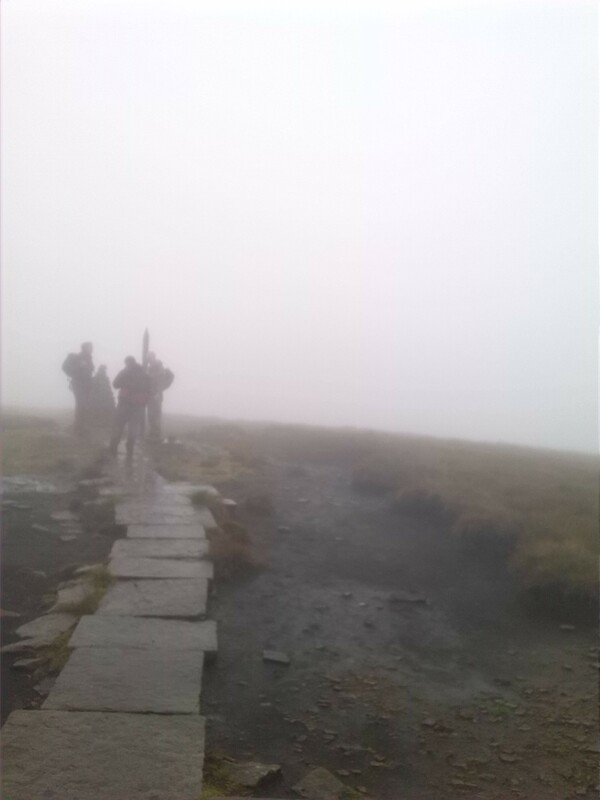 Whilst the rain and marshy bog under foot were difficult to contend with, the heavy mist/fog made for interesting conversations amongst the group, as we struggled to get a proper read on our location and it became near impossible to see natural pathways that would help take us up to the summit. All things considered and even after we took several wrong turnings, Buckden Pike has the makings of a tough mini challenge walk. The return journey was a pleasant descent that reached a welcoming level walk from Kettlewell back to Buckden car park as the sun made brief appearances through greying clouds. ← Is modern IT moving too fast?